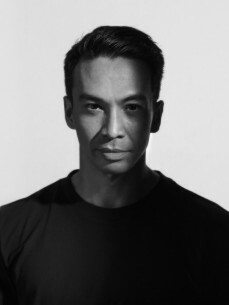 From his origins in the house and techno underground through to his current more eclectic style, Laidback Luke has always been a leading light in music of present day as well as the future. Dutch hero Laidback Luke is enjoying a hugely varied and consistently noteworthy career in the game. With a reputation as a serious talent spotter and for being one of the nicest guys around, he has built himself a mightily impressive musical empire that has touched the highest reaches of the music industry. Within his first year of producing in the mid-’90s, he was remixing dance legends like Green Velvet and Moodymann and having his tracks licensed by Carl Cox for his compilations, laying down a marker as an artist to watch. A prolific output saw him conquer the underground and by 2003 he was remixing the likes of Daft Punk. As the noughties progressed, he laid the foundations for the distinctive Dutch house sound that would provide one of the building blocks of the EDM sound and help bridge the gap between dance and pop / urban music. Now with chart crossover hits and remixes for the likes of Mariah Carey, Robin Thicke, Madonna and Nicki Minaj plus three albums under his belt – not to mention hundreds of dance floor hits – he is a hugely accomplished producer. His eclectic third album Focus, released in November 2015, proved him once again to be an artist with wide ambitions and a very accomplished spectrum of styles, while his steady run of singles continues to keep him at the forefront of dance floors across the world on a constant basis.